Farmak Team scored a victory in Football Tournament Business vs. Government, held 18-19 July on the football field of National University of Bioresources and Nature Management of Ukraine. The Tournament was arranged by the European Business Association (EBA). 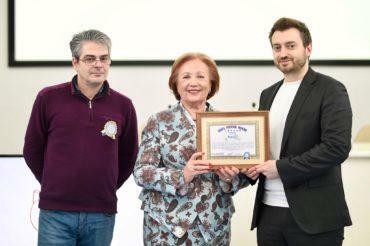 It was the first Football Tournament arranged by the European Business Association in the format of sports competition between business and government. 22 teams representing various business areas and government authorities (National Bank of Ukraine, Ministry of Finance, Ministry of Economic Development and Trade of Ukraine, Ministry of Infrastructure of Ukraine) gathered together on the football field. All teams were well-trained. The matches were intense. 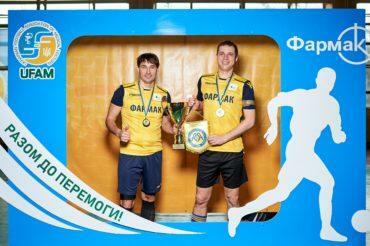 The football teams of the National Bank of Ukraine and Farmak JSC played in the final match. Team Farmak scored one goal more and won 4:3. Pavlo Oleksiychuk, Chairman of the Trade Union Committee, Farmak JSC, says, “Our football team has been playing nearly 15 years. The team consists of more than 40 players, who train and play football regularly. It took us years to score a victory in the Tournament. This is one of our greatest sports achievements, especially, taking into account our competitors’ high level of training. In the field we saw the true Farmak spirit and strong desire to win”. Yuliya Melnyk, Event Team Leader, EBA, says, “European Business Association has been holding Football Tournaments once a year since 2005, traditionally in July. Our tournaments have been among the best-known EBA sports events for 10 years. This year we had a record number of teams! Moreover, this year we gathered together teams from business and government on the football field for the first time in Ukraine. In our opinion, the teams showed good level of play and results and, more importantly, team spirit and thirst for victory.